A former Warwickshire Police officer has been found not guilty of stealing more than £100,000 from the force’s Leek Wootton head quarters. Former officer Paul Andrew Greaves was given the not guilty verdict on Friday after a four week retrial at Birmingham Crown Court. The case was opened after around £113,000 of criminal’s cash was stolen from the former Warwickshire Police headquarters between June 2009 and September 2011. 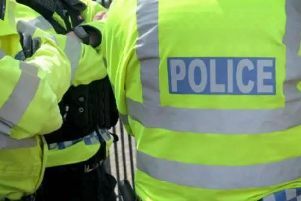 The money had been seized after a police operation into firearms possession and conspiracy to pervert the course of justice which resulted in the conviction of three people at Warwick Crown Court in January 2010. But an investigation was opened at the time after the cash went missing from the police building - and has still never been recovered. Mr Greaves, 57 who now lives in Carlton, Nottinghamshire, was arrested on suspicion of theft in March 2013 and pleaded not guilty during a trial at Warwick Crown Court later that year. A retrial concluded this week has now found the former officer to be innocent of the charges - and Warwickshire Police said an investigation into the theft remains open. Detective Supt Nick Tomkinson, who led the theft investigation, said: “We fully accept the decision of the jury today. “Since the theft of the money we have had a consistent team of officers and staff assigned to this investigation and they have worked tirelessly in their attempts to uncover the truth. The matter was first investigated after being referred to the Independent Complaints Commission. A Warwickshire Police spokesperson said they regularly review policies and procedures in relation to the retention of cash seized. A new seized and found property policy was introduced in September 2014 and regular audits are completed to ensure procedures are reviewed and robust.